Matt Erickson will return as manager of the Wisconsin Timber Rattlers this year for a seventh consecutive season. His staff will include two new coaches, both of whom played in the Midwest League. Erickson began his coaching career as the hitting coach for the Timber Rattlers in 2009 and became the team’s manager in 2011. He led the Timber Rattlers to the Midwest League Championship in 2012, and brought them back to the playoffs in 2014 and 2016. He is the longest-serving manager in the history of Appleton professional baseball, and is the most-tenured manager among current Midwest League skippers. As a player, Erickson appeared in four games for the 2004 Milwaukee Brewers and played 11 seasons in the minor leagues. He played for the 1998 Kane County Cougars, batting .324 with 4 HR, 64 RBI and 17 SB in 124 games. Steve Cline is the new Timber Rattlers pitching coach. He spent the last 16 years as the pitching coach of Milwaukee’s affiliate in the rookie-level Arizona League. He pitched in the San Francisco Giants farm system for six seasons (1974-79) before making one last appearance in 1982. That last appearance was a two-out relief appearance for the Clinton Giants. He also pitched in the Midwest League in 1975, going 5-12 with a 3.85 ERA, 108 strikeouts and 52 walks in 152 innings (23 starts) for the Cedar Rapids Giants. 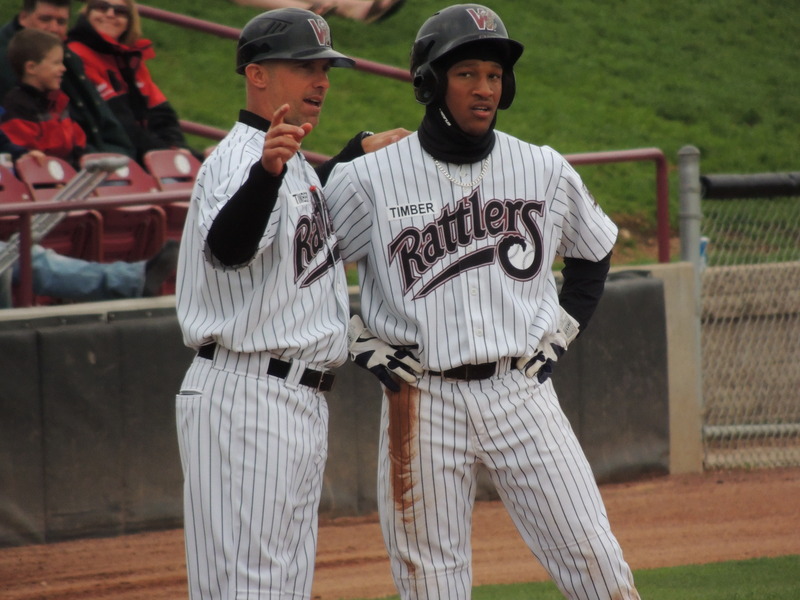 Hainley Statia also joins the Timber Rattlers coaching staff. This will be his second season as a Brewers coach, after spending last season with the team’s Arizona League affiliate. The former infielder played 10 minor-league seasons for the Brewers and the Anaheim Angels. He played for the Cedar Rapids Kernels in 2006, batting .297 with 1 HR, 38 RBI and 23 SB in 111 games. This entry was posted in 2012 Playoffs, 2014 Playoffs, 2016 Playoffs, Cedar Rapids Kernels, Clinton LumberKings, Kane County Cougars, Midwest League, Wisconsin Timber Rattlers. Bookmark the permalink.